No matter what you’re doing at this year’s Christmas party you can still get in on the spirit of the season with the Holiday Apron and Hat Costume. 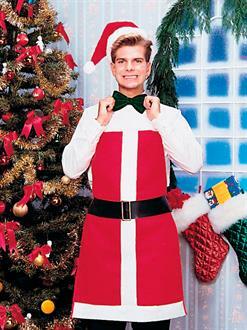 The costume comes with a Christmas themed bartender apron and hat. You’ll look festive in this Polyester outfit. It’s easy to accessorize with and is a versatile outfit that will fit easily into almost any occasion. Have a great time with the Holiday Apron and Hat Costume.